The Flu Vaccine – Friend or Foe? It’s that time again – flu season. Runny noses and coughing spells sometimes paired with high fevers and stomach aches. Sounds like fun. Each year my wife updates me when her business offers the free flu shot at her company. The conversation heats up in my office consultations with patients asking my advice on whether they should get the flu vaccine. Before my Chiropractic education, I never thought much about things like the flu vaccine. I never got one and just would ride the wave when my body did become infected with whatever strain was going around. It has become a hotly debated topic between pro-vaccinators and anti-vaccinators alike. It has come to a point that some organizations mandate you get a flu vaccine or they will fire you!! I actually know people who have lost their job because they refused the flu vaccine. 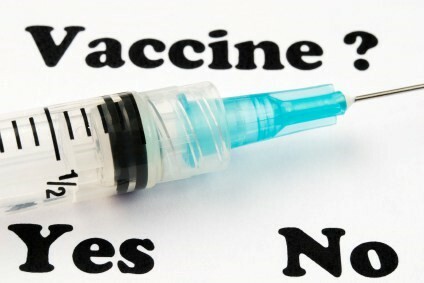 I personally do not want to express my bias on whether you should or should not get a vaccine, but it does scare me that we Americans are losing our right to make choices about our own health and can even suffer severe consequences for making choices against the grain. I’m not here to tell you why to get or not get the vaccine. I am here to present some of the facts behind the science and arguments for the vaccine. Dr. Amy Edwards, a doctor of pediatric infectious disease at Rainbow Babies and Children’s Hospital in Cleveland, told ABC News that “young kids” and “adults over 65” especially should make sure they get a flu shot. (1) I have read and understand the medical community’s points to support their desire to inoculate you with the flu virus every year. The idea is that introducing the flu virus into your body in a low dose will trigger an immune response that builds antibodies to the virus. Antibodies are your immune system’s defense against foreign invaders like the flu. The theory is that if your body has already been exposed to the flu then when and if you get infected by someone around you, your body will be able to have a better chance at fighting the infection. Sounds good in theory, right?? One consideration with the mass use of flu vaccine in healthy children is the removal of natural antibodies to flu derived from natural infection. Whether it is better for healthy children, who rarely suffer complications from flu, to get the flu and develop permanent immunity to that flu strain or it is better for children to get vaccinated every year to try to suppress all flu infection in early childhood is a question that not yet adequately answered by medical science. (2) We must consider and evaluate these kinds of uncertainties as children are injured and some have even died from complications associated with the flu inoculation. I also like to know what I am putting in my body. Ingredients are added to the different batches and some batches even use different preservatives. I know if I recommend a nutritional supplement what exactly is in it. You can at least look up the ingredients on the bottle. It isn’t hard to find the ingredients in the flu vaccine but most people do not ask. Shouldn’t it be like reading a food label? Shouldn’t we have the information we need to make an informed decision? That is what encouraged me to look up the ingredients in this year’s flu vaccine and I urge anyone to do the same before making deciding in favor of inoculation. Dr. Thomas Rau, Chief Medical Director of Switzerland recently published research that showed connections between exacerbation of Lymes disease and the flu vaccine. (3) He reviewed many cases of those infected with Lymes disease and their recovery potential to the disease. He reported that those who did not recover as well from the Lymes also had several things in common, one of which was they had the flu vaccine. The discussion further explained that the flu vaccines basically contain cofactors for Lymes disease to thrive in the infected person. Therefore, that means that if you have a Lymes infection, the flu vaccine “may” reduce your risk of catching this year’s flu strain but it may also exacerbate the Lyme’s infection. If I had an active or latent Lymes infection, I would hope my doctor was keeping up with the latest research and considering before making recommendations to my health. The flu is nothing to mess around with, and if you do become infected, then report to a primary care physician to make sure everything is ok. Make sure to drink plenty of fluids and get plenty of rest. But do your homework when considering this year’s latest flu vaccine. Talk to your doctor about the vaccine and its ingredients. Ask about the effectiveness and keep it all in consideration when making choices about your health. Remember, knowledge is power.